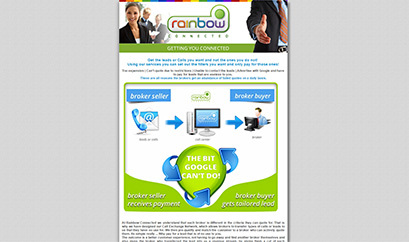 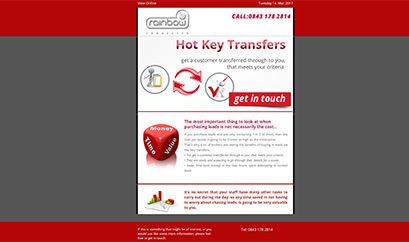 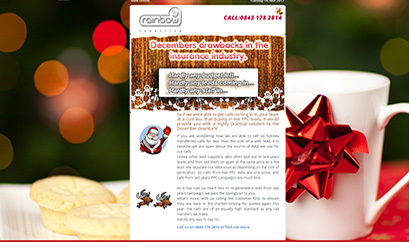 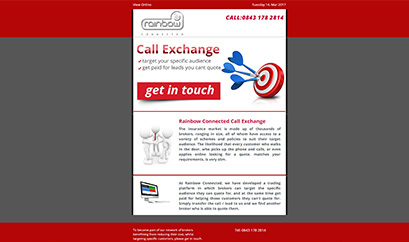 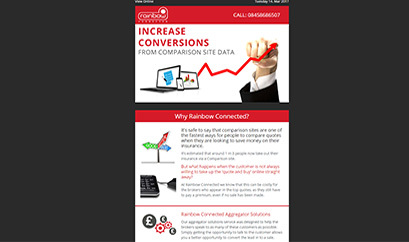 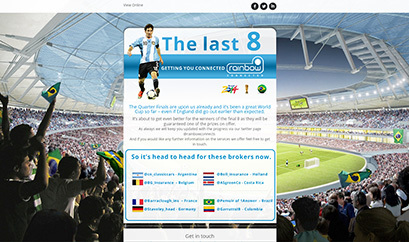 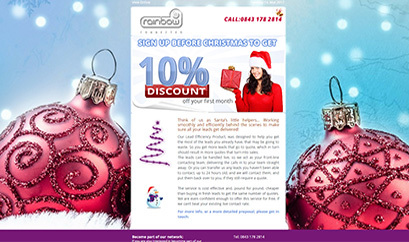 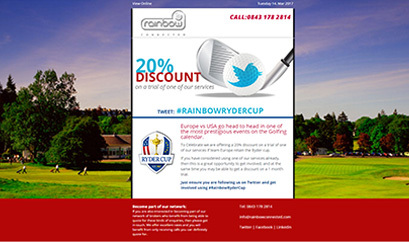 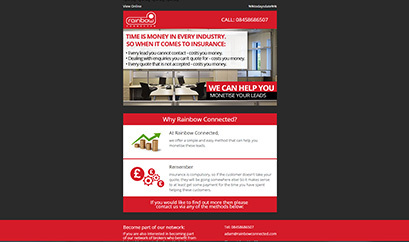 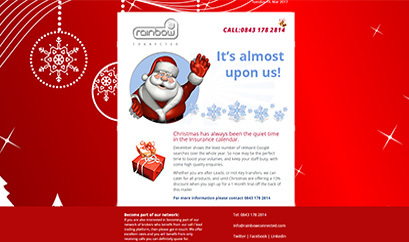 At Rainbow Connected, we have developed a trading platform in which brokers can target..
It�s estimated that around 1 in 3 people now take out their insurance via a Comparison site. 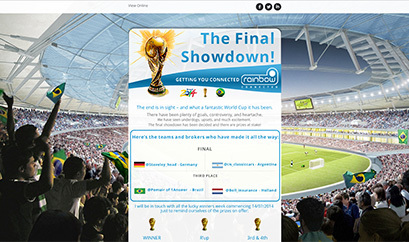 The end is in sight � and what a fantastic World Cup it has been. 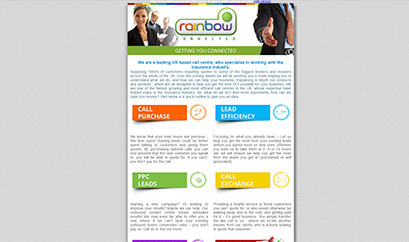 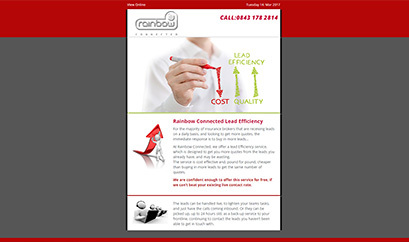 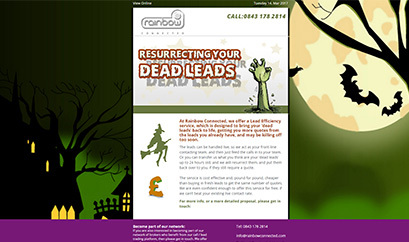 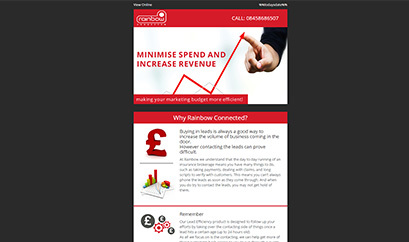 Buying in leads is always a good way to increase the volume of business coming in the door.